OVER 1.2 million people died in India due to air pollution in 2017, said a global report on air pollution. As per the State of Global Air 2019, overall long-term exposure to outdoor and indoor air pollution contributed to nearly5 million deaths from stroke, diabetes, heart attack, lung cancer, and chronic lung disease in 2017. “Out of these,3million deaths are directly attributed to PM2.5, half of which is from India and China together. The analysis found that China and India together were responsible for over half of the total global attributabledeaths, witheachcountry facing over 1.2 million deaths from all air pollution in 2017,” the report said. 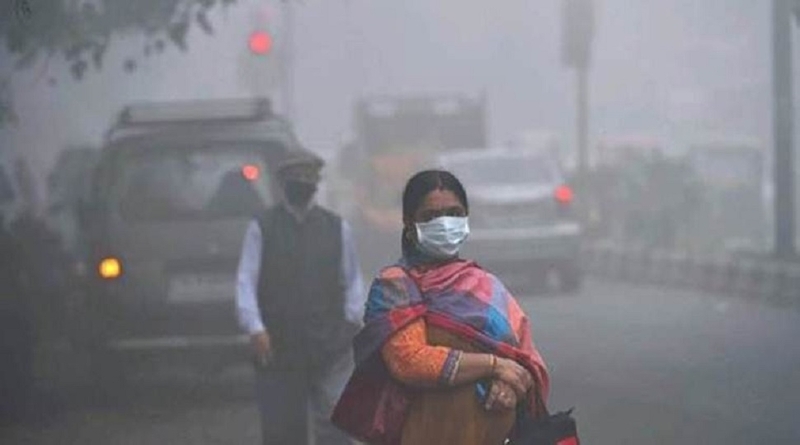 The report,which was released by US-based organisation Health Effects Institute (HEI) on Wednesday, said that air pollution is the third highest cause of death among all health risks in India, ranking just above smoking. As per the report, the life of a South Asian childborntodaywillbeshortenedbytwoyears and six months growing up in current high levels of air pollution, while the global life expectancy loss is 20 months. The institute said schemes initiated by the Indian Government to address pollution like the Pradhan Mantri Ujjwala Yojana,House hold LPG program, accelerated Bharat Stage 6/VI cleanvehicle standards, andthenewNational Clean Air Programme can have significant health benefits in the coming years. “These and future initiatives have the potential, if fully implemented as part of a sustainedcommitmenttoairquality, to result insignificant health benefits in coming years,” said Robert O’Keefe, Vice President Health Effects Institute. “World wide, airpollutionis responsible for more deaths than many better-known risk factors such as malnutrition, alcoholuse, and physical inactivity,” said the report. “Each year, more people globally die from air pollution related disease than from road traffic injuries or malaria,” the study said.